“But theater was his passion, and he considered opera to be theater, and dance to be theater as well.,” said his colleague and close friend Scott Bennett. “He was an extraordinary man. Loney forged close friendships with dozens of theater luminaries like Bertolt Brecht, Gwen Verdon, Gerald Schoenfeld and Hal Prince, Bennett said. He would mention their names as causally in conversations the way most people would refer to their neighbors. Ingmar Bergman repeatedly flew him to his movie sets for professional interviews, but then kept him for extended personal conversations. The result was a reputation lasting to the present. When he was late returning between acts at “Angels In America” this spring, management held the curtain for him without anyone asking. Years earlier, he pressured Schubert Theatres chief Schoenfeld to turn the endangered Lyceum Theatre into a museum of Schubert family memorabilia. Loney’s massive resume in 2006 listed more than 1,000 magazine and journal articles, 530 reviews, 7 books, 6 unpublished plays, 2 detailed show program notes, editing or contributions to 22 books, and 39 in-depth interviews for Cue magazine. Among the books is a two-volume "20th Century Theatre," a day-by-day chronology of American, British, and Canadian Theatre activity from 1900 to 1980. 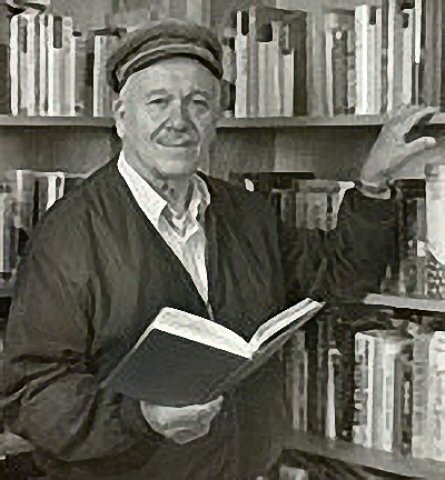 Besides his membership in ATCA, Loney was a historian for the Outer Critics Circle, nominator for its annual awards, a member of the Drama Desk, the International Association of Theatre Critics, Dance Critics Association, Theatre Historical Society, the American Society for Theatre Research and the Music Critics Association of North America, Municipal Art Society in New York and nominator for the Society's Brendan Gill Prize. Even as a teenager, he pursued journalism and public speaking, garnering awards and outstanding grades. But his love for theater (and journalism and photography) was cemented studying for a bachelor’s degree at the University of California at Berkeley and studying for a master’s degree at the University of Wisconsin at Madison where his thesis focused on Edith Sitwell. He earned his Ph.D. in Theatre History and Dramatic Literature at Stanford University with a dissertation “Dramatisations of Popular American Novels: 1900-1917.” During this research, he discovered Edith Wharton and Clyde Fitch's lost scripts for the play "The House of Mirth." "Glenn Loney was not only one of the founders of the Outer Critics Circle but a member of its Executive Committee for over 68 years. He was responsible for getting me to join the OCC more than thirty years ago and has been a dear friend and steadfast colleague especially during my tenure as President. What I will remember most fondly is Glenn's contributions to our regularly held meetings in which he loved to digress from issues being discussed to tell a story of his encounters with famous people and his world travels, all of which he enhanced with often hilarious (sometimes scathing) perspectives. He pulled no punches. He was responsible for establishing the John Gassner Award so that a new American playwright would be recognized and honored each year whether or not his/her play was awarded a prize in any of the other 26 categories. His legacy is duly noted, but just as memorable for those of us who sat with him monthly around the OCC board table was the sound of his voice fearlessly stating his case and ferociously standing behind artistic standards that the rest of us could only hope to aspire. People come and people go, but I will really miss him. Simon"
"Rest in peace, dearest Glenn. A lovely, but surely, too-short, tribute. What a giant."